Nothing is more relaxing then gently rocking back and forth on a hammock or swing on a glorious spring or summer day. Customers can add some therapeutic motion to their outdoor space with hammocks and swings; both now come in a variety of designs and fabrics that are sure to appeal to everyone’s tastes. Now, OW Lee’s most popular collection has some motion. 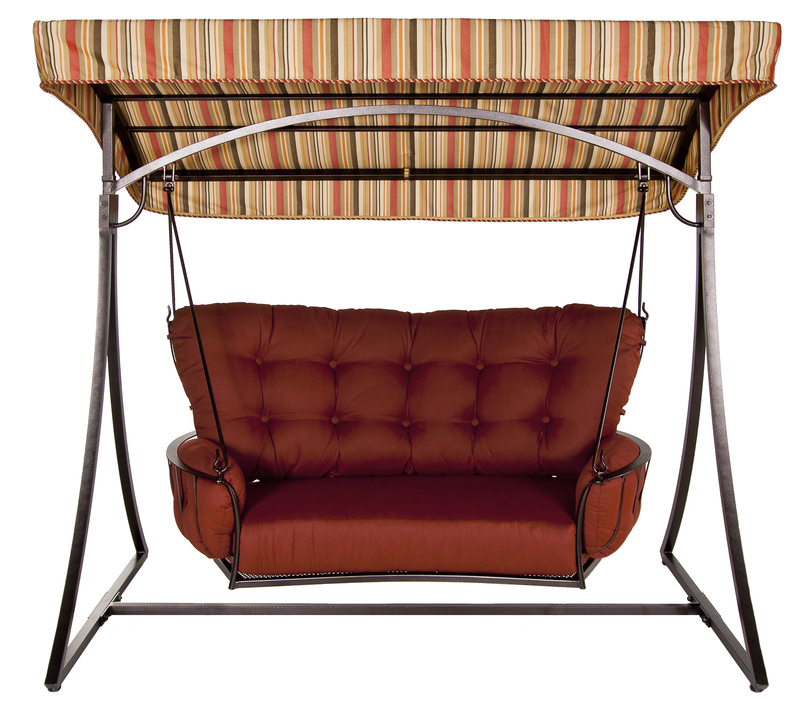 The new Monterra swing comes with a sturdy iron frame and an ultra-comfortable cuddle-sofa bucket. The Monterra swing is a great addition to any backyard. This new Hatteras Hammocks® tufted hammock, from the HammockSource, features plush, grommet-tufted contours, which cradles you as an overstuffed featherbed. Two layers of cottony-soft, all-weather DuraCord® fabric, with the top layer featuring the tranquil Watermark Cool Springs pattern, sandwich a plush center of recycled polyester hollowfill fiber. Spreader bars are richly grained South American cumaru, and hanging hardware is zinc-plated steel. 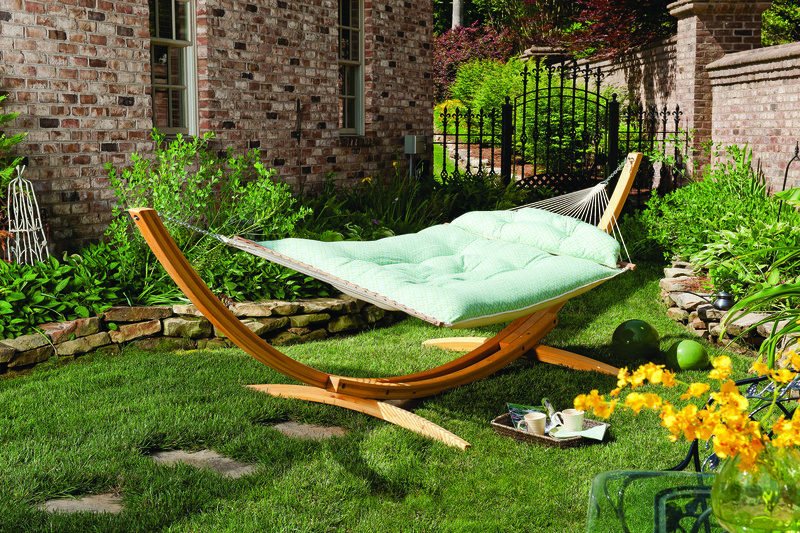 The hammock body measures 55×78 inches; its total length is 13 feet. The tufted trapezoidal pillow is included, though the stand is sold separately.